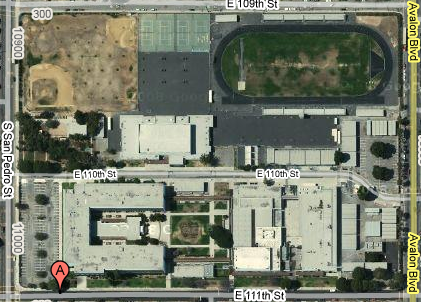 Google Maps shows satelitte images of the world and takes pictures of each street in major cities. Should this be legal and availible to the public? Why or why not? 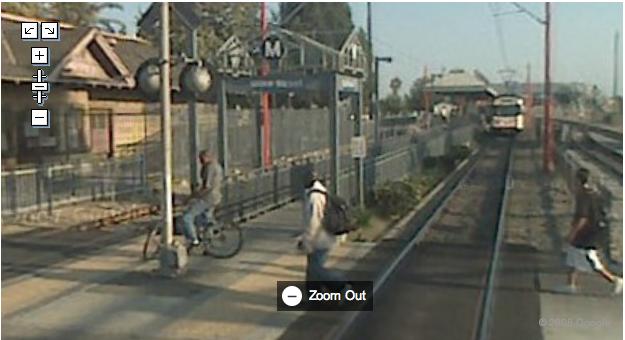 Google Maps captures people at the metro. no. because people need to know were to go….. I think its cool and it make it easier to do things. I am not sure what other ppl think but my opinion is that it is okay to keep up the map from street distance.I know for sure that I will need it, and yes it does creep me out a little but I dont think that this website is to stalk ppl.Yes I do think that this shoud be legal and avalible to all around ppl. from diffrent communties. i think no because people need there privacy and yeah because they might be doing bad things. I think that is good to take pictures of the streets because when people are lost they can just find where u want to go so yes is no is important to have a map. I think it should be legal to take pictures of stores and landmarks and places like that, but it should be illegal to take pictures of peoples houses. no. because people need to know were to go. I think it should be legal because it’s their jobs and everyone has to have some type of job. My opinion to this question is that it might be legal at some point and at another piont it might not be legal. i think it might be legal because it can help you determine where something is located and it might not be legal because it can be used for something bad so im not really sure about my answer. My opinion is that it should be legal because it helps see the streets and we could get directions. We just write the adress and it will give us the directions. I THINK IT SHOULD BE ILLEGAL BECAUSE PEOPLE MIGHT GET OFENTED BY THEM TAKING PICTURES OF THEM. well my opinion is that they should not do that b-cause i think the ppl well not like there picture on enternet. and the other reason is that they should take picture at ppl who is doin bad things….. I REALLY DON’T CARE ………. I THINK THIS SHOULD BE ILLEGAL, BECAUSE ITS KIND OF INVADING PEOPLES PRIVACY. No because it is not right to put people house on blast.It will be mess up. I think that this should and should not be legal. Because some people like to keep their privacy and others don’t care. NO it should not be legal because it is an invasion of privacy not realy but in a way yes.!! I THINK IT SHOULD NOT BE ILLEGAL BECAUSE PEOPLE WANTS TO SEE WHAT GOING ON IN THERE AREAS.SOME PEOPLE WANT TO SEE THE STREETS THAT THERE BY. Well I’m not sure because it could be used for good reasons or bad reasons. It could help catch a criminal or a suspect. Also it could cost someones life.This is what I think. I think it should not be legal to the public because other people needs their own privacy ,some other people might just look at it to get on other peolpes business. no because people need privacy and yes some people are doing something bad …. I think that it should be legal because people need directions to go places. But, I also think it should be illegal because people need their privacy. I don’t think that’s right. no because people need privacy and yes some people are doing something bad …. so thats what i think . I Think Part Of It Is Illegal And The Other Part Is Legal. Everyday Lives….And The Legal Part Is The Street Part …etc. I think no because if they was and the same position they would not want they home on the internet either showing that they are homeless.and plus aint that legal. the world and takes pictures of each street in major cities. Should this be legal and availible to the public? Why or why not? I think it’s very legal because anything could happen with or without those cameras I think they are really looking for something like a bad crime or if sombody get lost they can help them find there way ecpecaily if it’s a police officer like a GPS system or somthing. i think they should because the people should now wat people are doing. i dont know and dont care..
think it should be legal so it would make it easier to find a street they should just blur the faces of the people on the street…duh! YES BECAUSE IF A PORSED IS JACKING A STAR THE COPS CAN CATH HIM!! Well i think this should “NOT” be legal because may people don’t want to be on the internet or have requested permission for that so i think this should not be legal.It would be okey if they ask for permission first or what they can do first they could wait till there isn’t anymore people on the street that they are going to photograph. well i think that this should be legal because they are not doing nothing bad with their job . They are not putting no ones life on danger or doing something illegal with their job so i that it should be legal. I really don’t care if people spy on other people. YES, because if you want to show someone were you live and if you want to spy on someone!! I THINK THAT IT SHOULD BE LEGAL BECAUSE THE PEOPLE WHO ARE DOING THAT WANT TO KNOW WHAT IS GOING ON…….. I think it should be illegal because people should respect other people personal buisness.And,stay in their own life. it shouldn’t be illegal because its easier for us to find the streets and freeways..And also we could see other persons in the moment on what there doing..
i think that this is legal cause its more helpful to dumb drivers who dont know where to go. yes this should me legal because that way you can know how the world looks like and the streets. but i think that taking pictures of other people without their permission is not legal because maybe some people don’t like taking pictures or maybe they are doing something private and don’t want others to know or see!!!! no because you could get away with it…. I THINK THAT IT SHOILDNT BE LEGAL BECAUSE PEOPLE COULD BE DUING SOME BUSINESS AND THATS NOT COOL. BUT IT COULD BE LEGAL IN CASE OF A FAMALY MEMEBER NEED 2 KNOW WHERE THEY ARE GOING. yes,it should be legal for people to see the satellite images because most people want to explore and see more,know more too. well i think this should not be legal because they put pictures of people on the internet without there permission and they also put them on a site were they can be viewed b millions of people. I THINK PEOPLE SHE NOT BECAUSE THAY MAY SPY ON YOU! ii thiink that it sould and should not because you are iinvading peples priivacy. but at the same time you need to know where streets are. what if you ever get lost? you are gonna need a map to fiind where you are goiing. YES IT SHOULD BE LEGAL BECAUSE YOU COULD SEE PEPLEO AND WHAT ARE THEY DOING. IT IS ALSO FUNY TO SEE WHAT OTHER PEPLEO ARE DOING. No it shouldn’t be legal because people can see you doing something embarrassing. well im not sure for me is a no and yes………….no beacause wat about smebody is doing something private………well yes cuz we could find out ppl that are doing something bad…..? I think it not because some people dont no that then taking picture of them and some of the people could be doing bad things. ITS IS GOOD TO SEE WHAT PEOPLE ARE DOING.BUT IT IS NOT GOOD. WELL I THINK IT SHOULD BE ILLEGAL BECAUSE PEOPLE MIGHT NOT WANT TO BE ON THE INTERNET. I think this should be illegal because it disrespects other people’s privacy and maybe some people might not want other people to look at their houses through da internet. I think it should be legal so that you can take a picture of youre house, or the streets every thing it must be fun to find out what is going out. I BELIEVE THAT IT IS FINE. BECAUSE THEY ARE TAKING PICTURES FOR PEOPLE WHO ARE LOOKING FOR PLACES, SO I THINK IT IS FINE. I think this should be legal because we need those maps to get around if we dont know were we are…. YES BECAUSE IF SOMETHING HAPPEN THEN THEY WOULD NEED TO FIND OUT WHO DID IT..! NO BECAUSE PEOPLE NEED THE PRIVACY AND PLUS THEY WOULDNT WANT THEY STUF ON THE INERNET..! It good because you can tell was going on. If someone is trying to kill you they will no who its. i THiNK THAT’S NOT RiGHT BECAUSE PEOPLE SHOULD HAVE THEiR OWN PRiVACY!!!! I THINK IT’S GOOD BECAUSE IF SOMEONE DO SOMETHNG TO YOU,THEY COULD FIND THE PERSON.ALSO I HINK IT’S NOT GOOD BECAUSE THERE ARE STOCKERS AND KILLERS THAT COULD FIND YOU ANY WHERE. well i think it should be a legal becuse what if someone killd somebody and thay are tryng to find out who it was they can just go to satellite and see who it was..
no it shouldnt be legal because people need there privacy.At the same time it should be legal because u could just go on and see watever u want to see from up close. i think it should be legal because what you see in the internet is what you see in life. i think it should be legal becouse there might be a time when someone has no idea of how to get their destination and then they could go google maps and find out the name of the streets and how to get there. they could also find out how far something might be, just in case they dont know how far it is. ITS GOOD AND BAD,ITS BECAUSE IF THEY KILLED SOMEONE YOU KNOW YOU COULD CATCH THAT PERSON.BUT ITS BAD CAUSE ITS LIKE THEIR STOCKING YOU. I think it should be allowed because if your gonna visit a friend and you dont know how the house looks like you could just google it up. I think it’s illegal to watch others life but it’s not inlegal to watch crime.